La Liga is about to take a week off for international matches - with some crunch World Cup 2018 qualifying matches coming up in Europe and South America. Naturally, several members of the Barça squad will be involved. 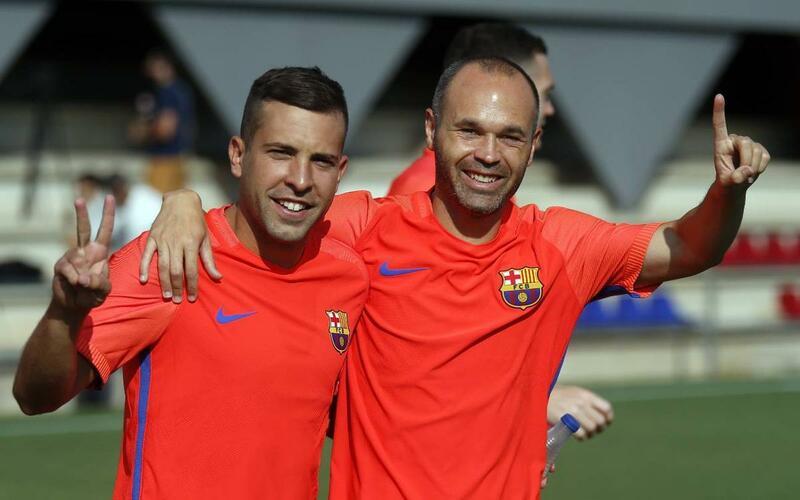 Spain have games against Italy and Albania coming up and the national manager, former FCB goalie Julen Lopetegui, has called on the services of Gerard Piqué, Jordi Alba, Sergi Roberto, Sergio Busquets and Andrés Iniesta. Denis Suárez will also be pulling on the Spain jersey, in his case as part of the U21 team that has Euro 2017 qualifiers against San Marino and Estonia next week. Didier Deschamps has named his France squad that has tough games against Bulgaria and Holland around the corner. Lucas Digne has been included. Goalkeeper Jasper Cillessen has been picked for the Dutch squad, who also have a game with Belarus. Portugal have what should be, at least on paper, a couple of much simpler fixtures to contend with. Andorra and the Faroe Islands will be taking on the European champions, with André Gomes confirmed as part of the squad. And Ivan Rakitić will be featuring for Croatia as they face international newcomers Kosovo followed by Finland. On the other side of the Atlantic, the ten Conmebol teams are about to reach the halfway stage of the marathon qualifying tournament. Neymar Jr is in the Brazil team that takes on two of the lowest ranked sides: Bolivia and Venezuela. Luis Suárez and Uruguay will be looking to defend their place at the top of the group in games with Venezuela and Colombia. And without the injured Leo Messi but with Javier Mascherano, Peru and Paraguay will be next week’s opponents for Argentina.